Game over? Not quite. Someone from Archrival took note of Doug’s abandoned "Shopping Cart" and realized the shipping prices were probably to blame. This resourceful employee immediately e-mailed Doug, offering several alternatives to ship the order for less, including a FedEx International Economy option, Delayed First Class Overseas Mail (on the company’s dime), or European purchasing options. "Wow. My mind is blown. This is potentially the best customer service I have ever experienced. You definitely deserve a purchase just for this e-mail." Doug and his girlfriend bought several items, ordering more than originally intended, all due to proactive customer care. Business is all about relationships, and good relationships are built on great communication. In today’s wired world, we communicate constantly, yet connections are frequently missed. Author Dan Kennedy describes these botched follow-ups as the "hole" in our buckets. If business is the bucket where we pour energy, ideas, and money, the "holes" are wasted time, money, or failed follow up. 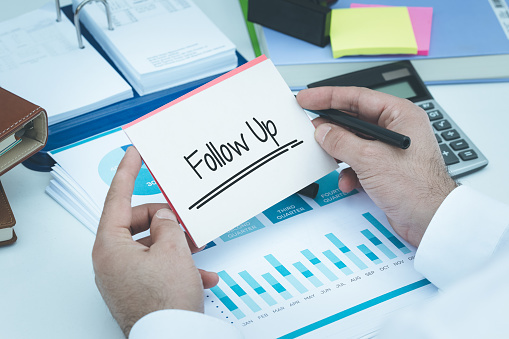 This may include failing to track contact information, not rescuing lost customers, or belated follow-up with prospects. This entry was posted on April 3, 2018 at 1:32 pm and is filed under Uncategorized. You can subscribe via RSS 2.0 feed to this post's comments. You can comment below, or link to this permanent URL from your own site.